We are a sucker for that little leather detail that elevates everything from a mirror to a basket. 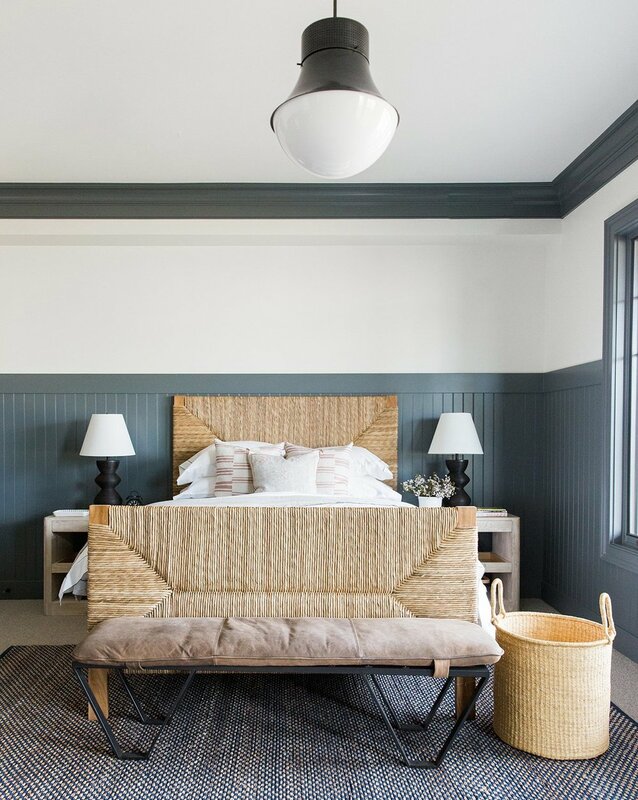 It adds a simple extra layer that adds warmth and texture in a less expected way — which is why time and time again, we constantly gravitate toward it. 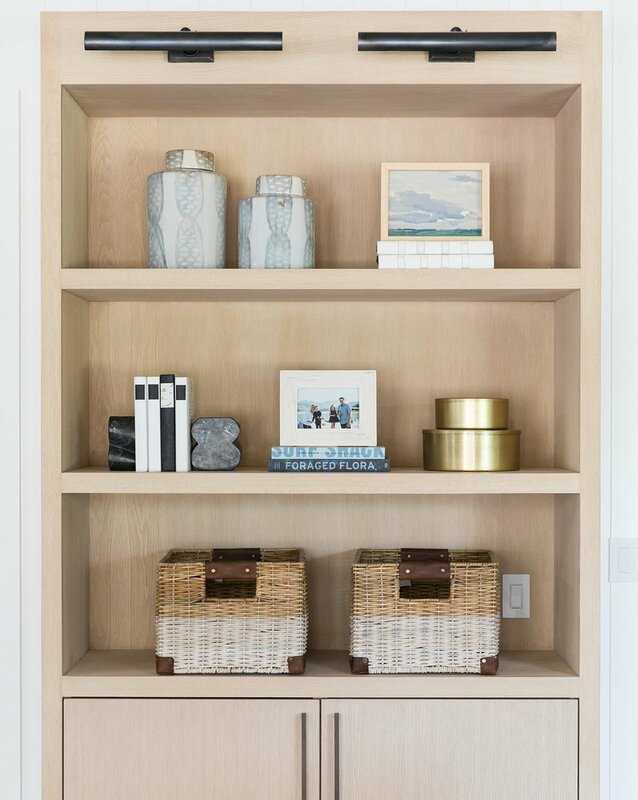 That little leather detail we love is also created in such a clean, streamlined way, that we’ve used it in every space from modern and even glam. 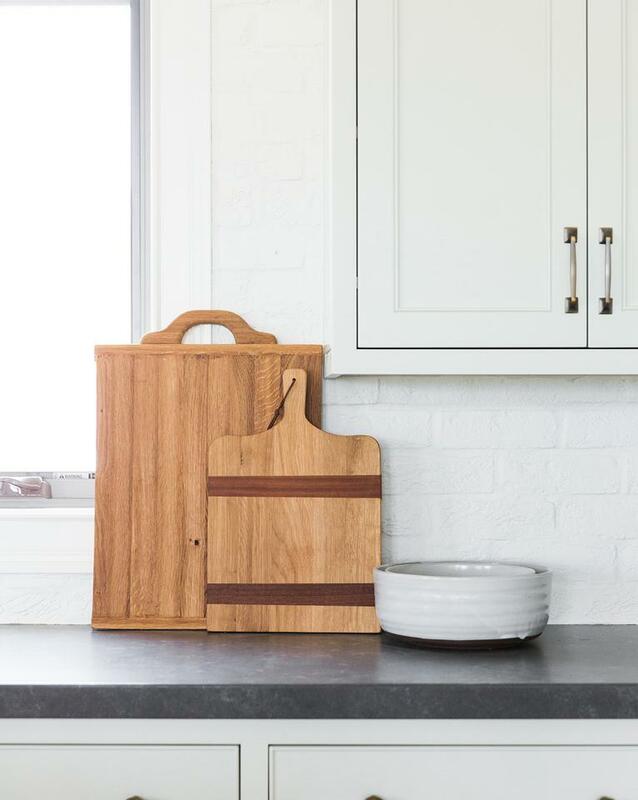 We love natural elements that make something more special, elevating the style as a detail. It doesn’t have to be huge to be effective! Many of our products have tiny leather handles that complete the design, making them feel special. You can’t beat the convenience they bring, making it easy to remove the lid at any time! 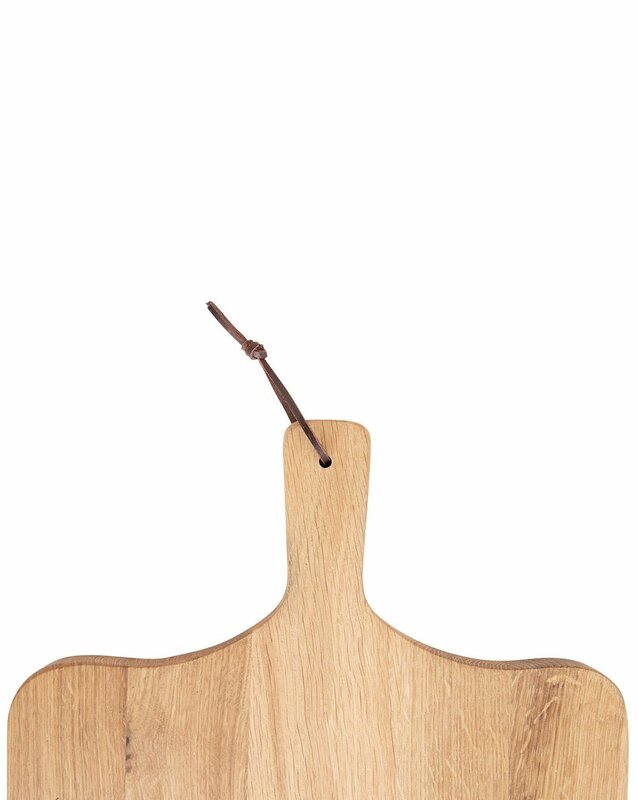 We designed the delicate leather handle on our Somerset Bread Board to tie in with the dark wood horizontal stripes that span the board. 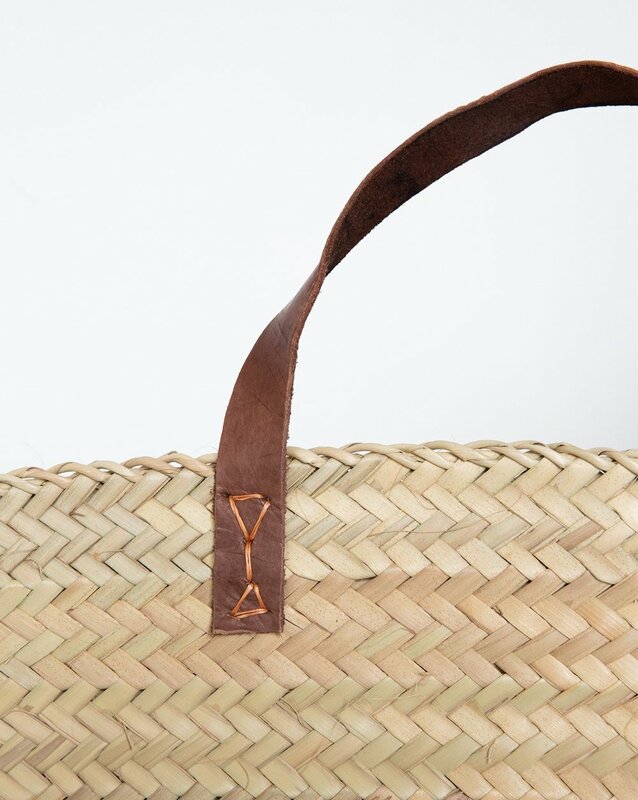 Nothing compliments a woven bag like an elegant leather handle. Our classic Market Bags have larger substantial leather straps, while our new Alma Bag has a softer handle, that's just as beautiful. 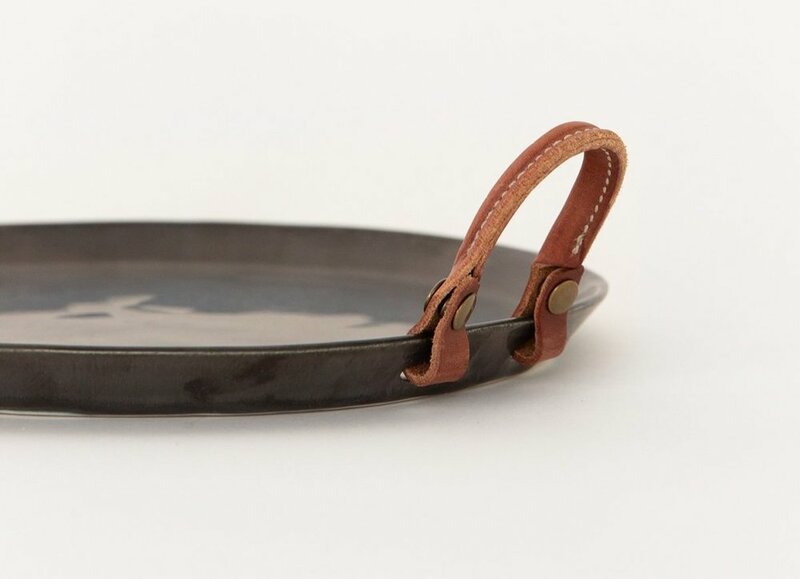 Our new Leather Handled Tray comes in black and white, feels really clean and kind of rustic, with an imperfect circular base. 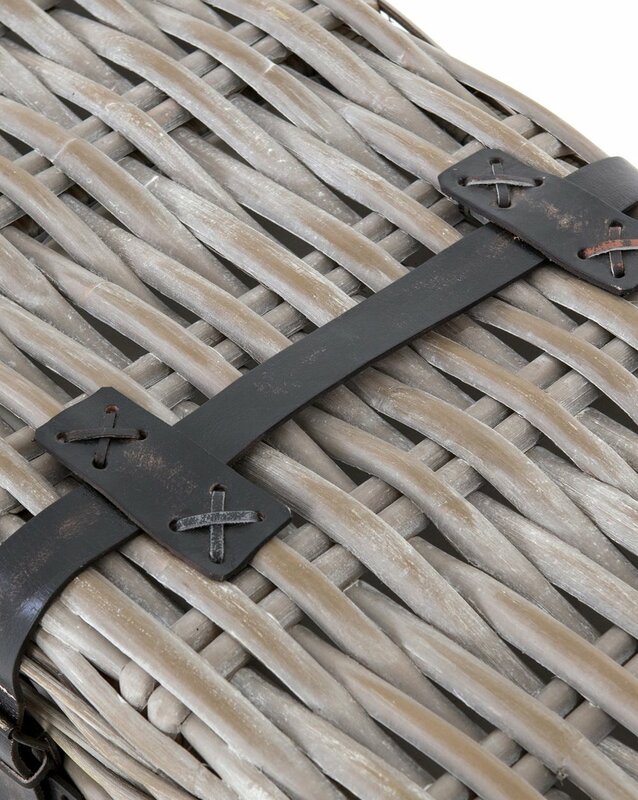 Our Woven Seagrass Magazine Holder is sure beautiful, the finishing touch clearly being the leather straps at the base. 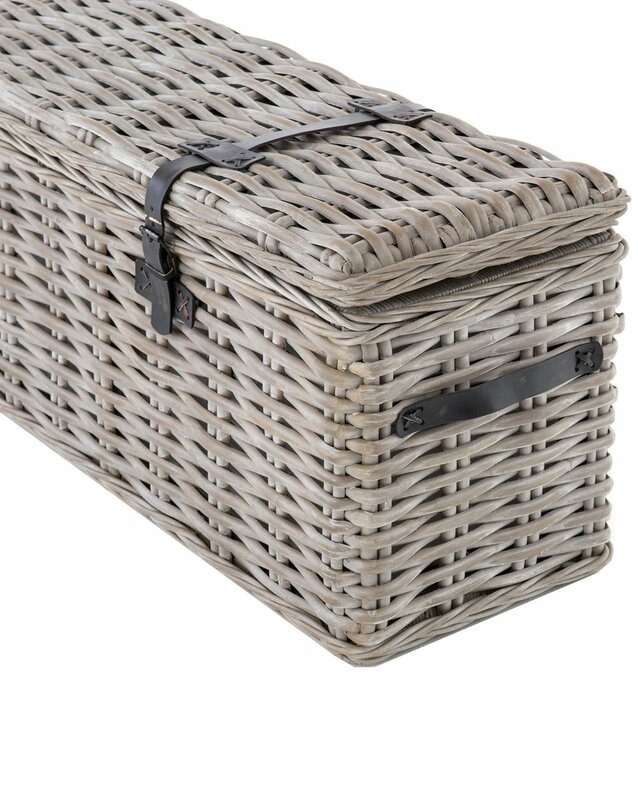 Our record baskets are a top hit in the shop. 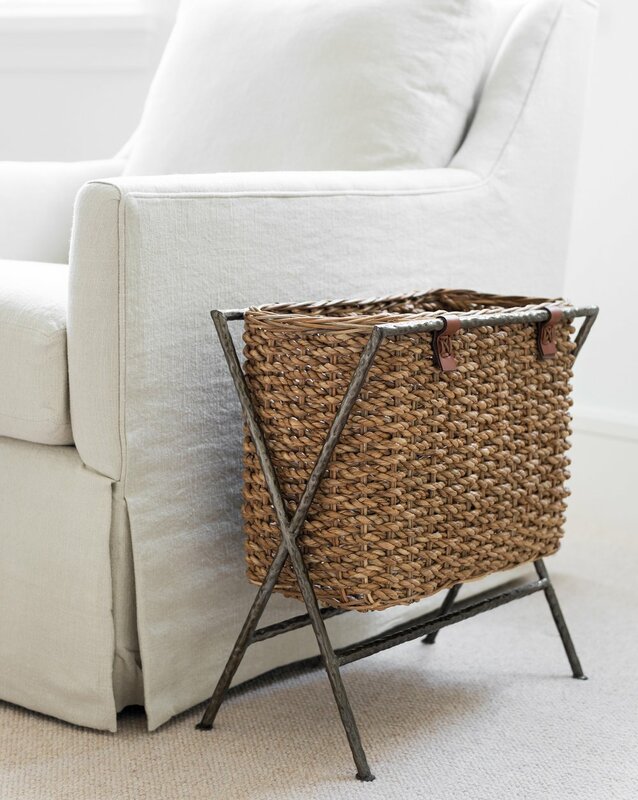 The dipped white wash and leather detail are contemporary twists on a simple wicker basket. The leather also adds durability! 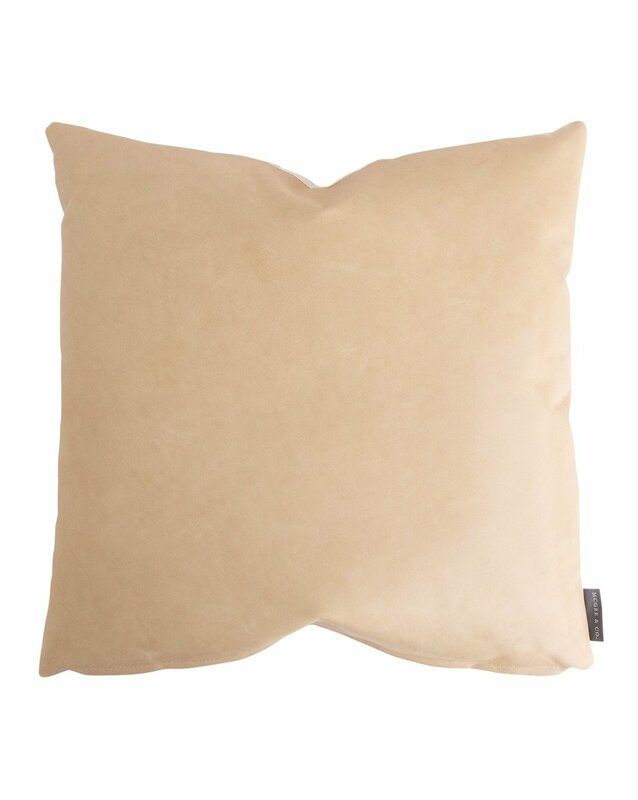 We have designed not one, but two exclusive SM pillows that are made of leather! We have the Palomino Leather with a lighter, luxe leather finish for those who want something brighter. If you’re looking to create some rich contrast, we have the Cognac Leather! We also love leather furniture, especially as it ages. It comes in beautiful various tones. 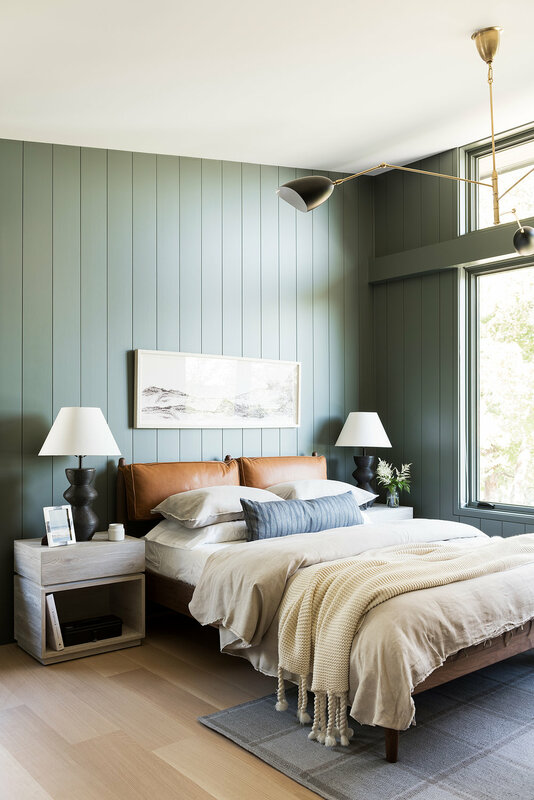 The Riley Bed is sophisticated safari, and the dark cognac leather details not only support the decorative cushions, but enhance the look. The geometric iron base on our Drew Bench is topped with a top-grain leather seat that’s strapped on in a cool industrial way. It’s comfortable and substantial in various spaces; from your entry way to the end of your bed. 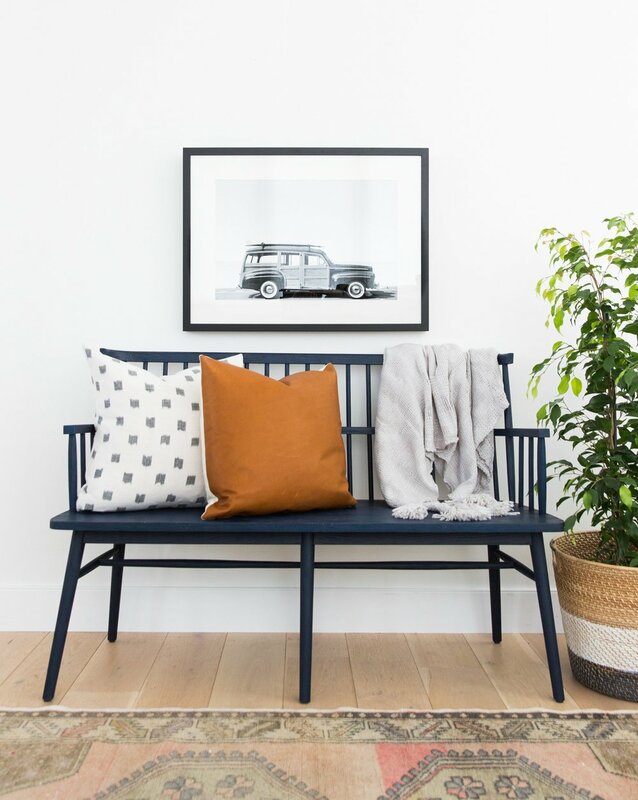 We’re crazy about our Alfie Bench. It’s got a sleek, slender cedar hardwood frame that’s complimented by a textured woven leather seat. It’s brings so much warmth and texture and works as cool bonus seating. The Birkley Trunk is clearly functional. 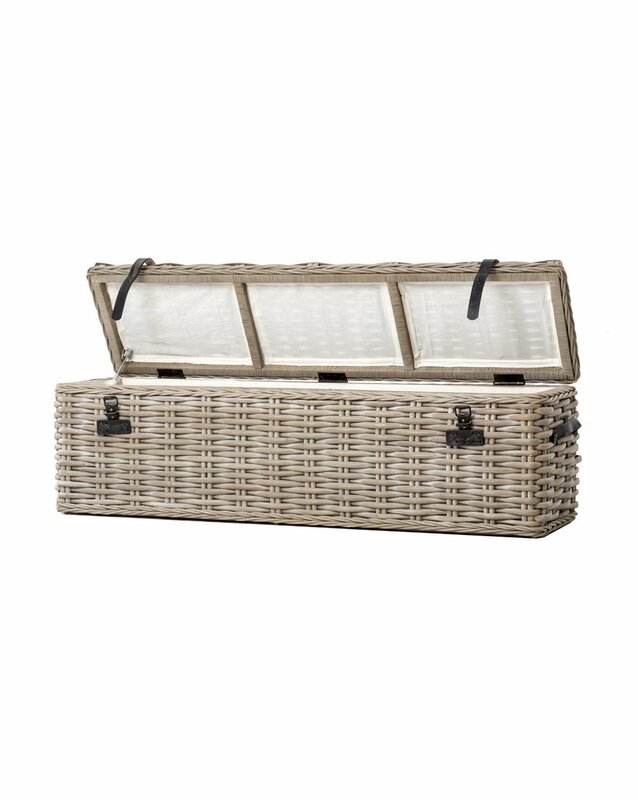 It has this cool, adventurous spirit with the leather straps at the lid. 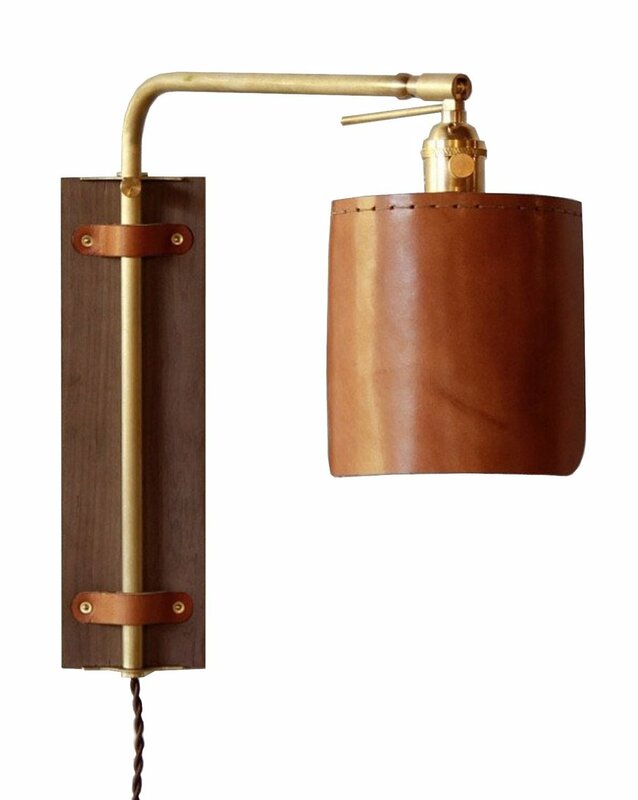 Our Ava Wall Sconce is new to the shop, and our hearts. Every detail of this light is thought out to perfection. Here is our Franklin Mirror, a leather mirror Shea is using in her home! It’s easy to see why it’s so beautiful with its full grain tobacco leather finish. It’s sleek, and kind of retro!